Is the book right for you? so you can decide if "Tao Art of Flow" is the right choice for you. 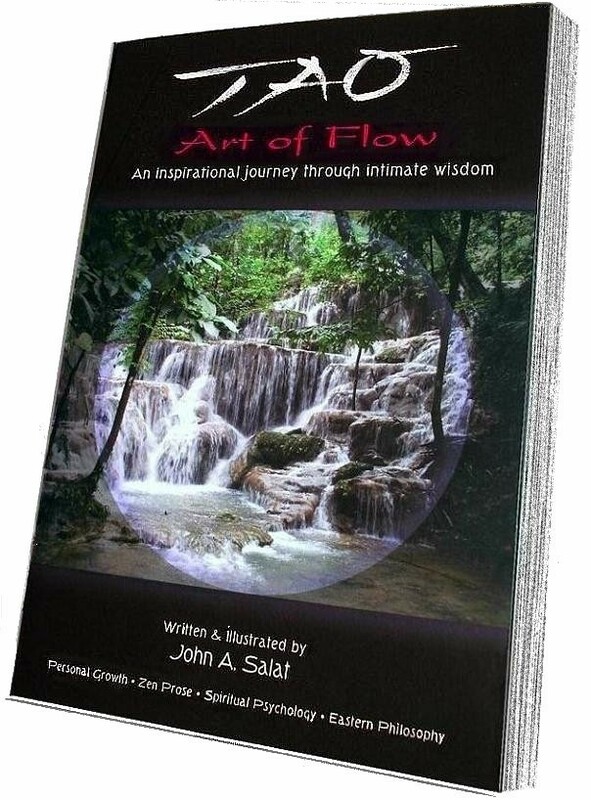 If you wish to create clear intentions faster, "Tao, Art of Flow" is a good choice for you. If you are tired searching for answers to a challenging situation in your life and rather fall in love just being curoiusly peaceful. If someone is driving you nuts and you want to learn how to deal with them better. If you would like to learn a easy way to quickly reduce stress and be in free relaxed action. If you wish to deepen your personal inner practice that will influence your life. If you would like to welcome more peace and genuine happiness into your life regardless of circumstances or events that flow your way. If you are frightened by an upcoming change and would like to learn a better way to deal with it including challenges of money, work and technonlogy for todays pace. If you are ready to give up worry or cocern and would like to learn how. If you would like to strengthen your point of focus through personal power. If you find time to meditate difficult, "Tao, Art of Flow" is a good choice for you. If you would like to experience more intimacy with a partner, freinds or coworkers. If you like to expand your influence with people around you in leadership. If you know a little bit about the Tao and been curious about the Tao or about Zen, and would like to explore these to new heights, "Tao, Art of Flow" is a good choice for you. Did you see yourself or someone you care about somewhere on this list? If so, I invite you to gift yourself or your loved ones, and order "Tao, Art of Flow".